Ampicillin is used as a preventive therapy as well as for the treatment of respiratory tract infections, urinary tract infections and salmonella infections. Ampicillin is a penicillin antibiotic that damages the bacterial cell wall to eliminate the bacteria. 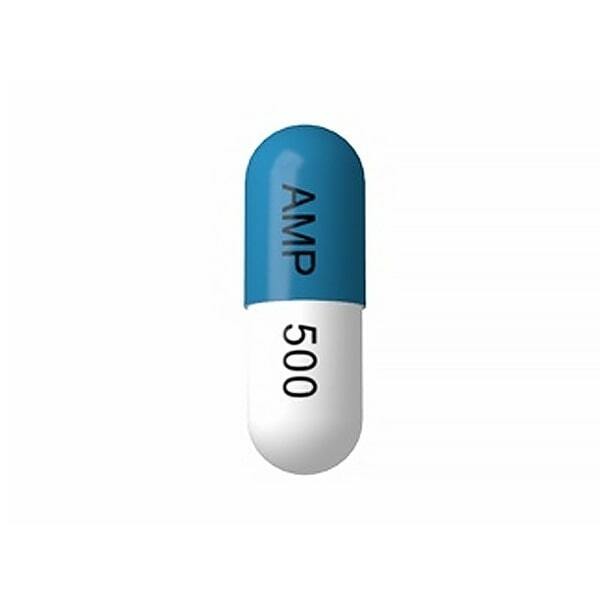 Ampicillin may be taken with or without a meal. Ampicillin must be consumed for the complete prescribed time duration. You may notice that your symptoms may improve before the prescribed duration is over or the infection is cleared. But do not alter the dose or the schedule without consulting your doctor. Store Ampicillin in a cool and dark place at room temperature. Do not store it in a place where it can get exposed to direct sunlight or moisture. Before using Ampicillin, you should consult a physician and discuss about your medical history. If you have allergies to cephalosporin antibiotics like Omnicef or Kelfex, then inform your doctor about it. You may have to undergo frequent blood tests including your kidney and liver functioning while using Ampicillin. It may also reduce the effectiveness of birth control pills. So ensure that you use multiple birth control measures while using Ampicillin. Ampicillin may interact with some medications. So if you are using any prescription, non prescription, OTC medicines or dietary supplements, then inform your physician in advance before you use Ampicillin. Ampicillin is not known to be harmful to an unborn baby. But inform your doctor if you plan to become pregnant or are pregnant during the time of treatment with Ampicillin. Ampicillin may be passed on to the baby if you are breast feeding. Please speak to your doctor about the potential risks of breast feeding while using Ampicillin. These side effects usually subside by themselves in sometime as the body gets used to Ampicillin.